Shoes by Beverly, located in Belleair Bluffs (part of Clearwater) serving the Tampa Bay Area and St.Petersburg offers the latest womens designer shoes from Andre Assous, Butter, Fly London, French Sole, Naot, Onex, Paul Mayer, Sacha London, Vaneli and Vince Camuto Signature and others in an elegant but comfortale setting. In addition to the wonderful selection of womens shoes, Shoes by Beverly also carries a unique line of handbags from Eric Javits, Icon, MZ Wallace to name a few. 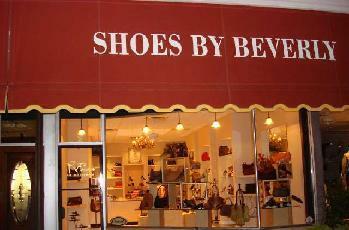 For seven years Shoes by Beverly has been fitting Tampa Bay women with fine footwear and handbags in a comfortable atmosphere for customers (guest) to browse freely. Beverly is fortunate to have a fabulous staff of devoted, knowledge and loyal employees to help run the store. They are alway ready to help customers choose a style that will suit their particular need. Reach them at (727) 584-7755. Get special advance notification of our special sales, promotions and events.